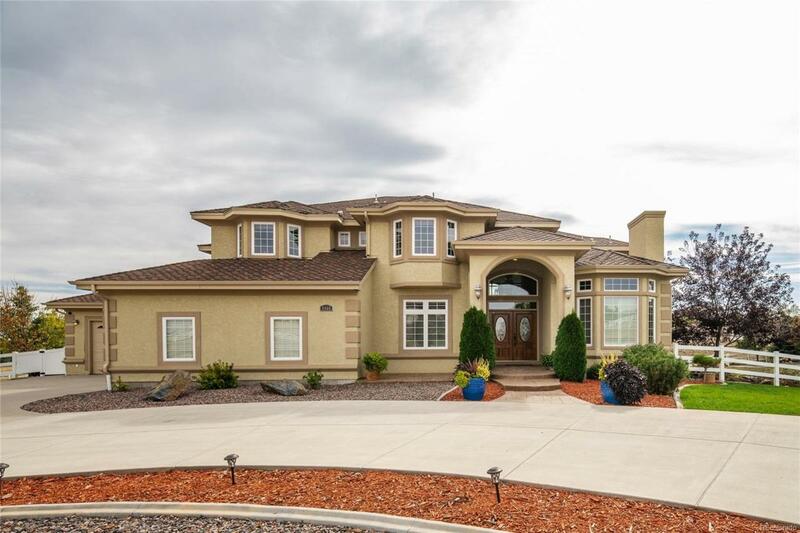 Your next home with this lovely 2-story custom home in Todd Creek Estates, the gated community of Todd Creek. 1.5 acres, approximately 5,600 s.f. finished with an oversized 4-car garage. Beautiful gourmet kitchen with granite countertops and stainless steel appliances. Master suite with 5-piece master bathroom with granite countertops, euro glass shower surround and large walk-in closet. Hardwood floors, vaulted ceilings, open and spacious floor plan with tons of light. Fully finished walk-out basement with, full kitchen, rec room, full bathroom and bedroom. Large, covered deck. Perfect for entertaining. Buyer to verify taxes, HOA's, schools, square footage.